Oil on canvas painting - Forest scene in a winter starry night. 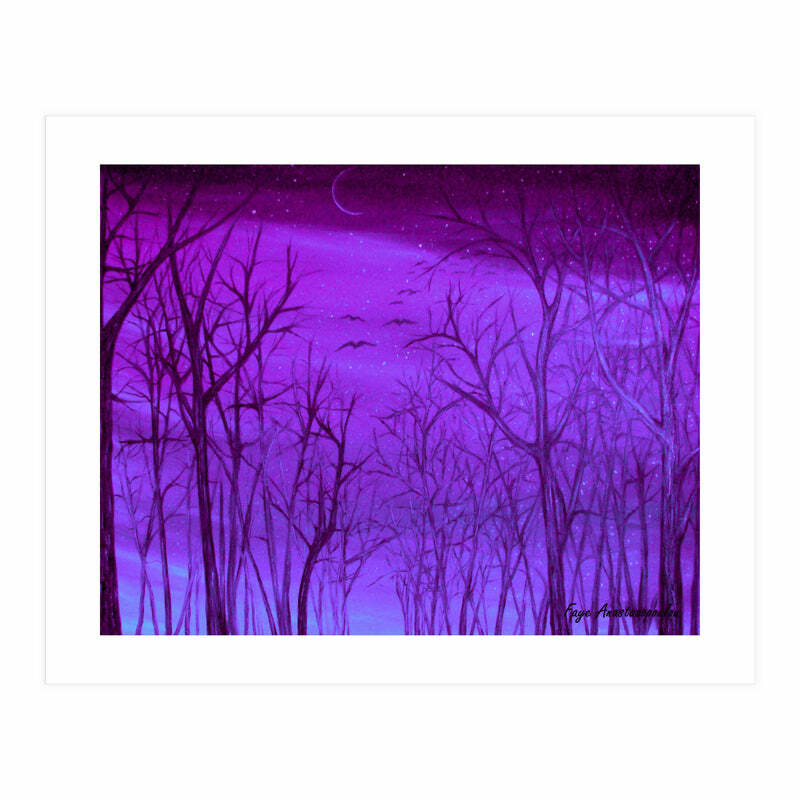 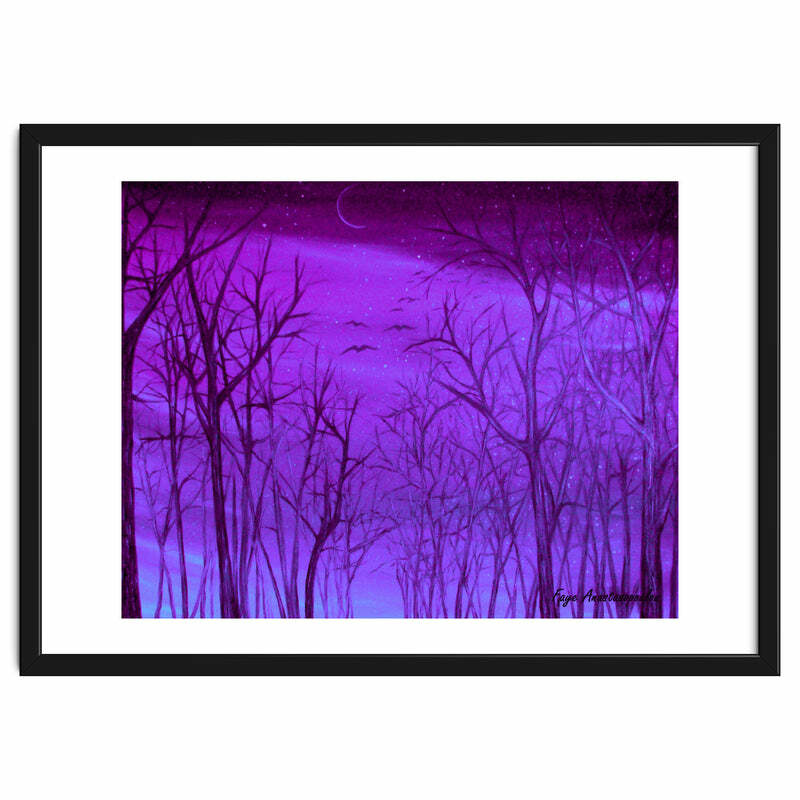 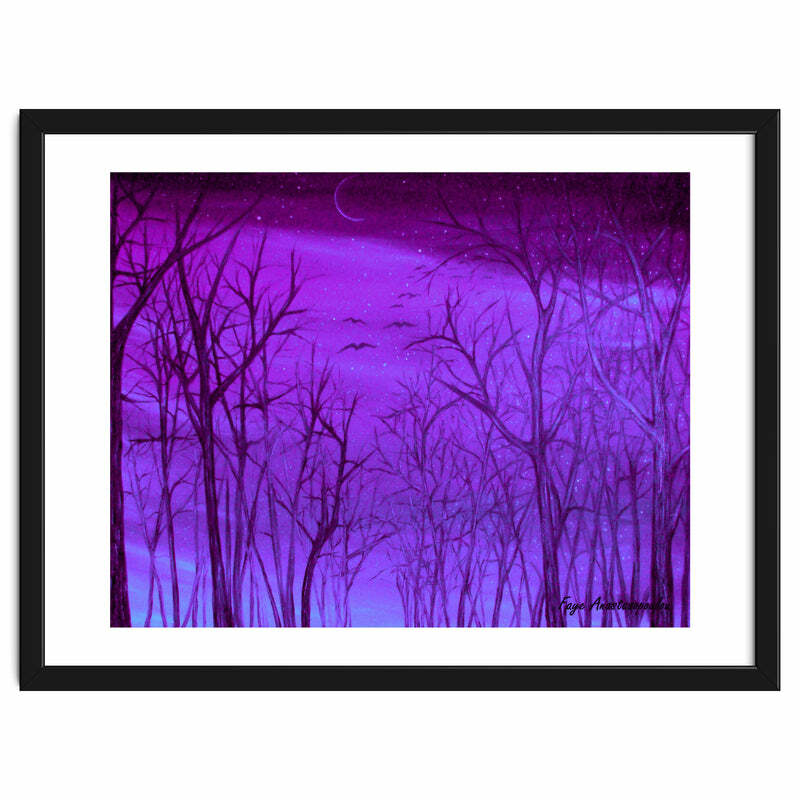 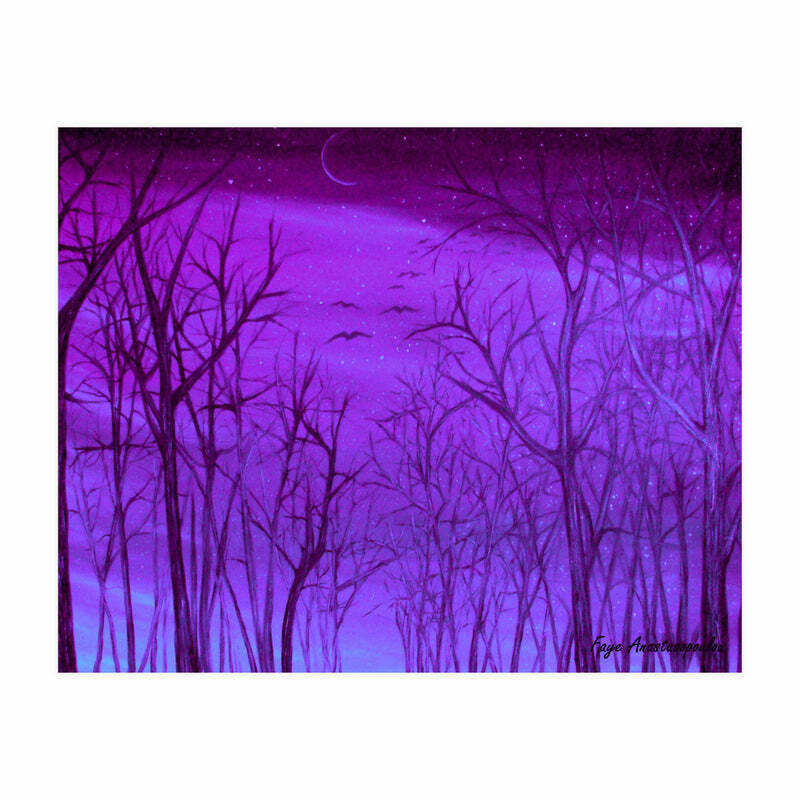 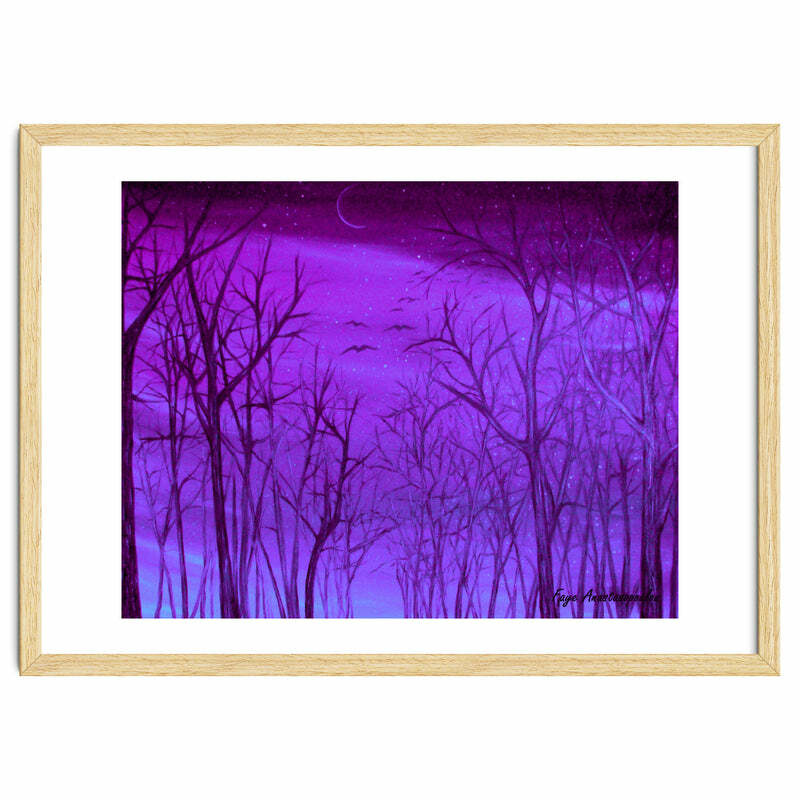 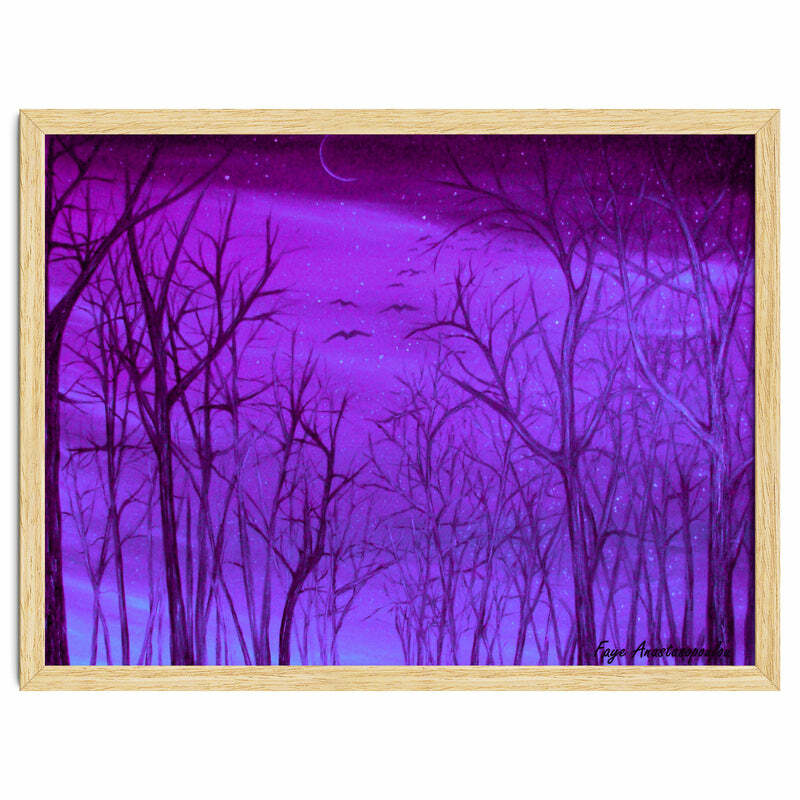 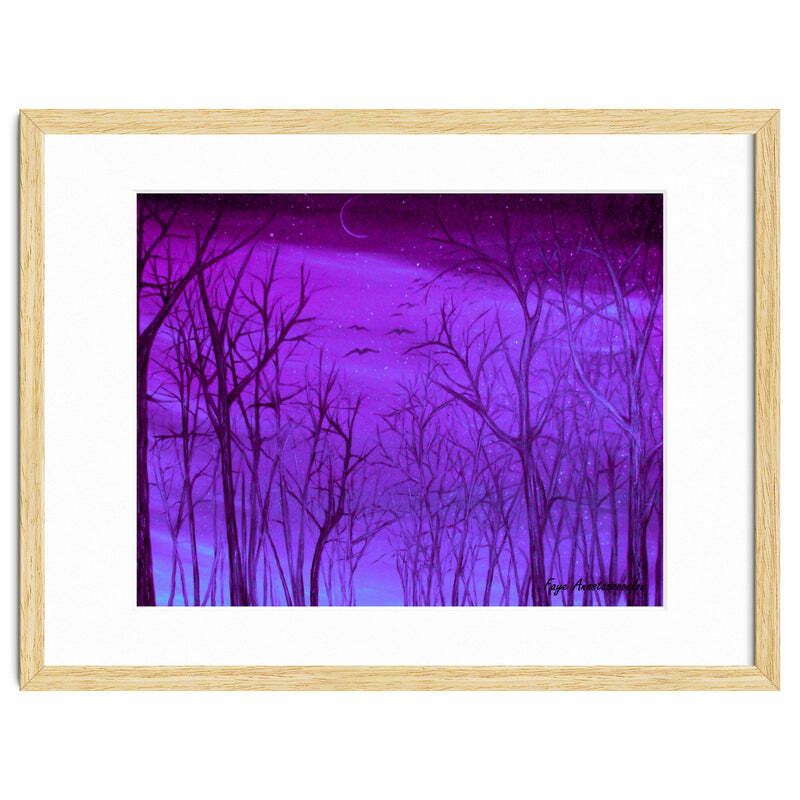 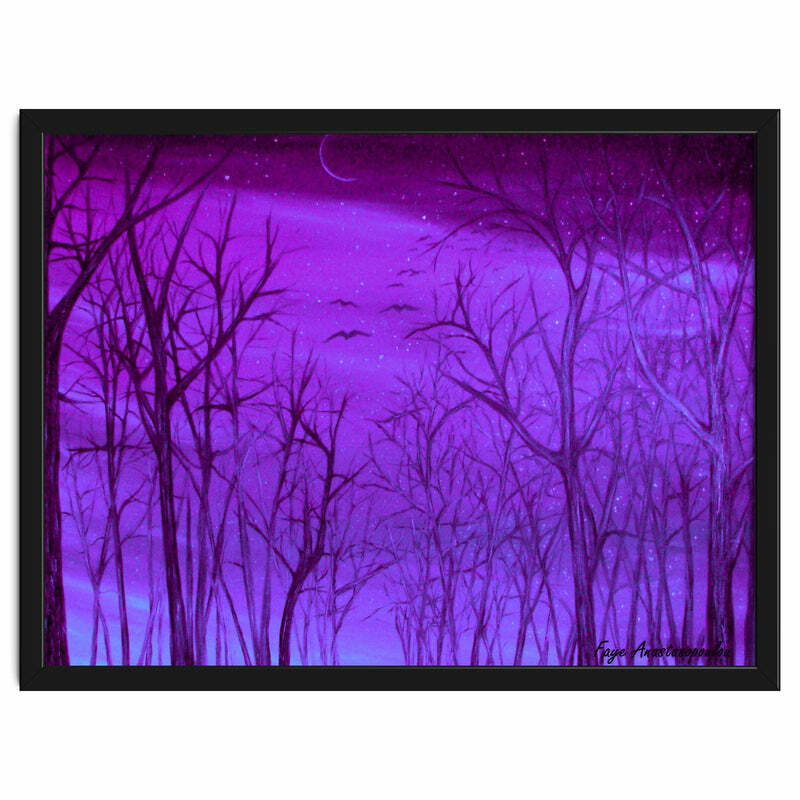 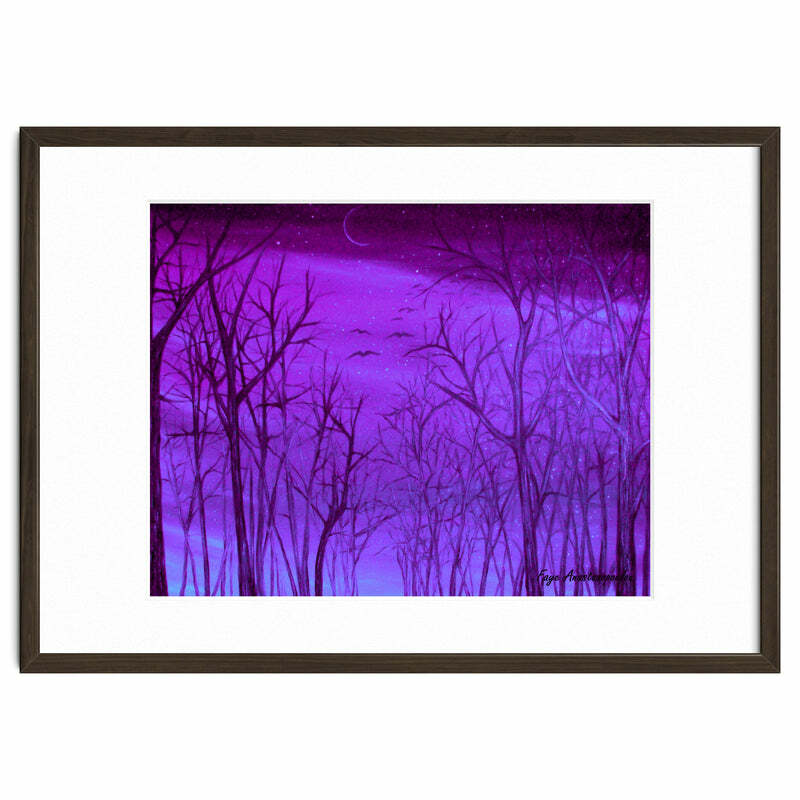 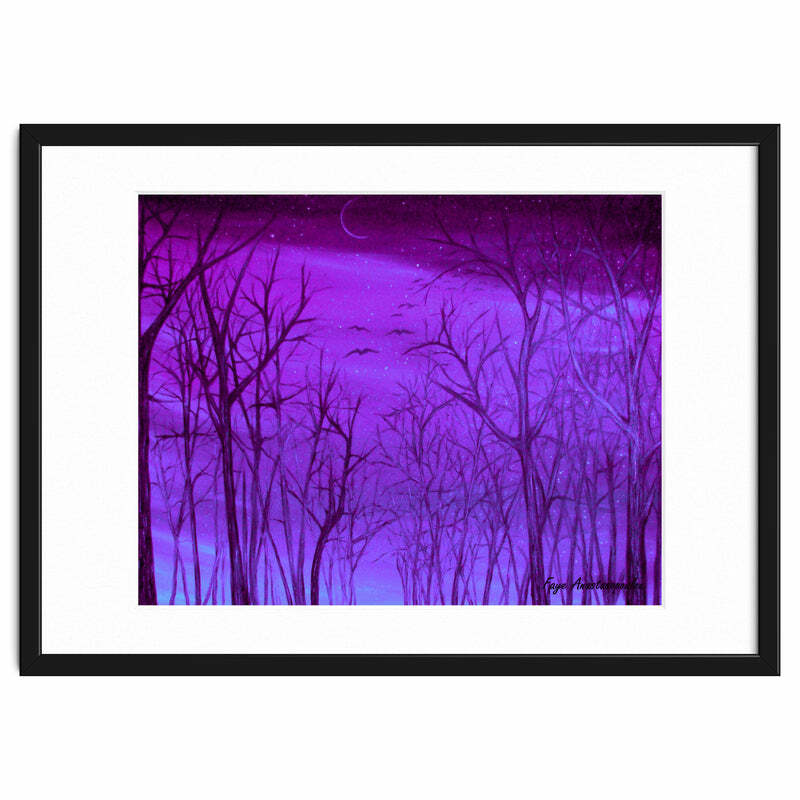 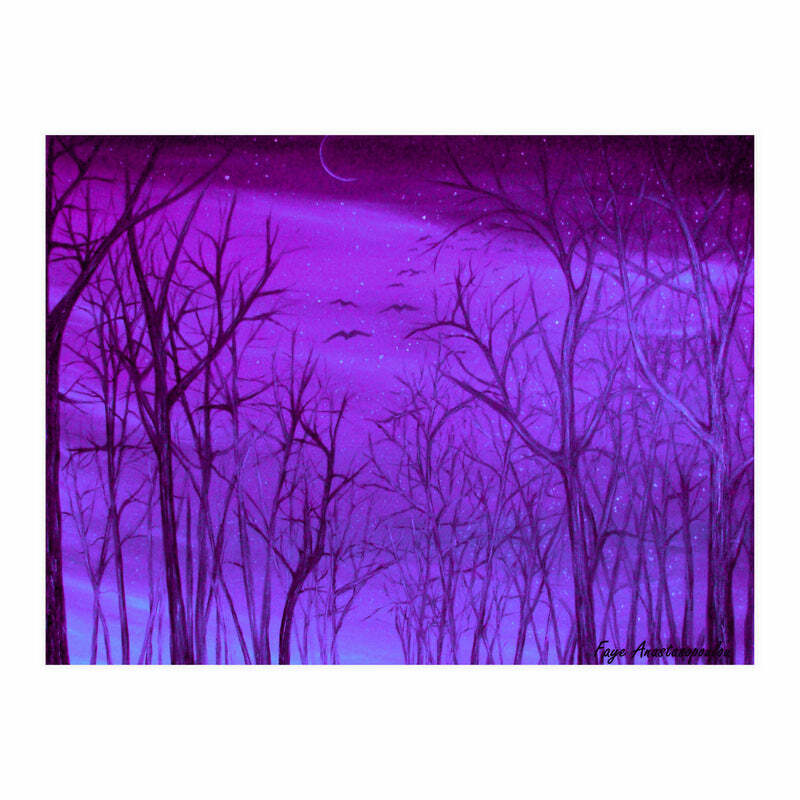 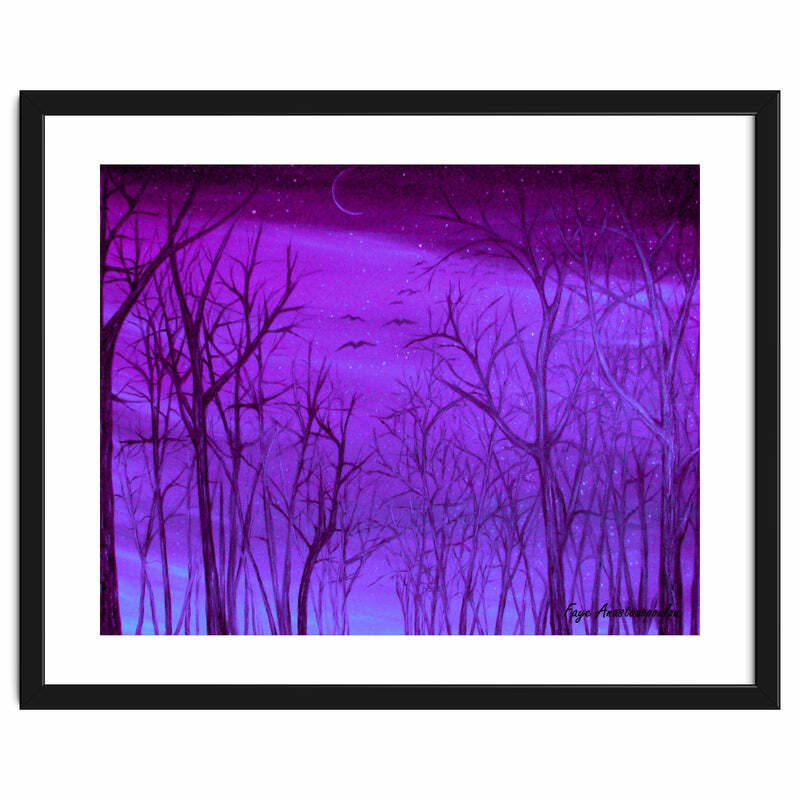 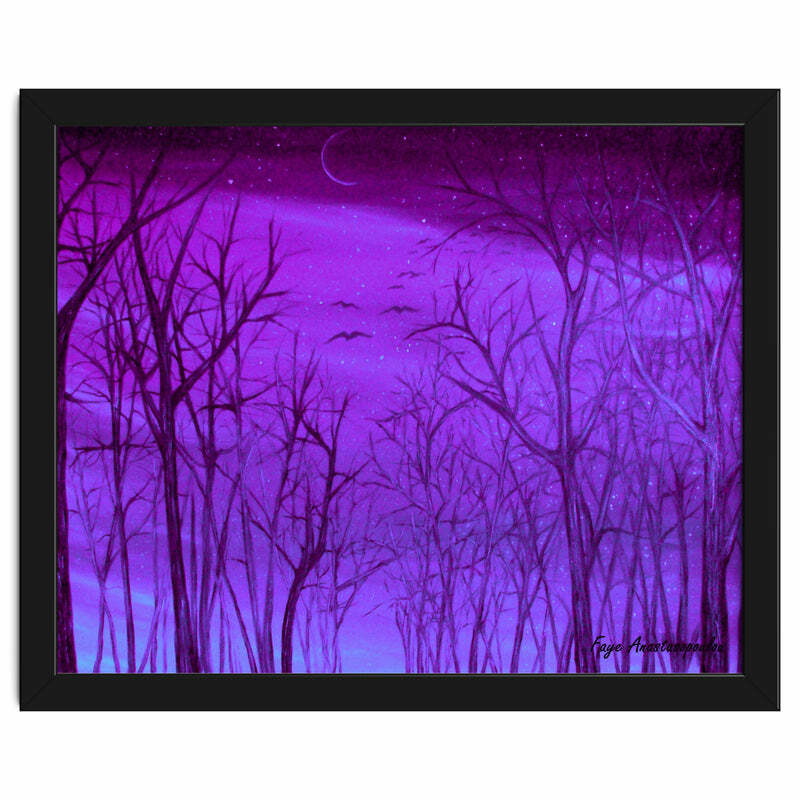 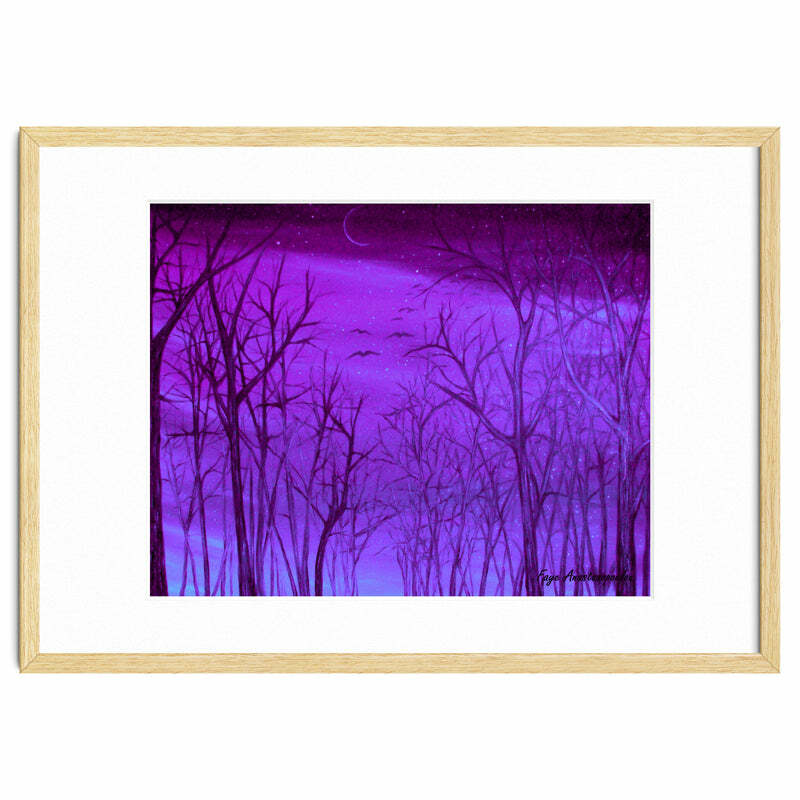 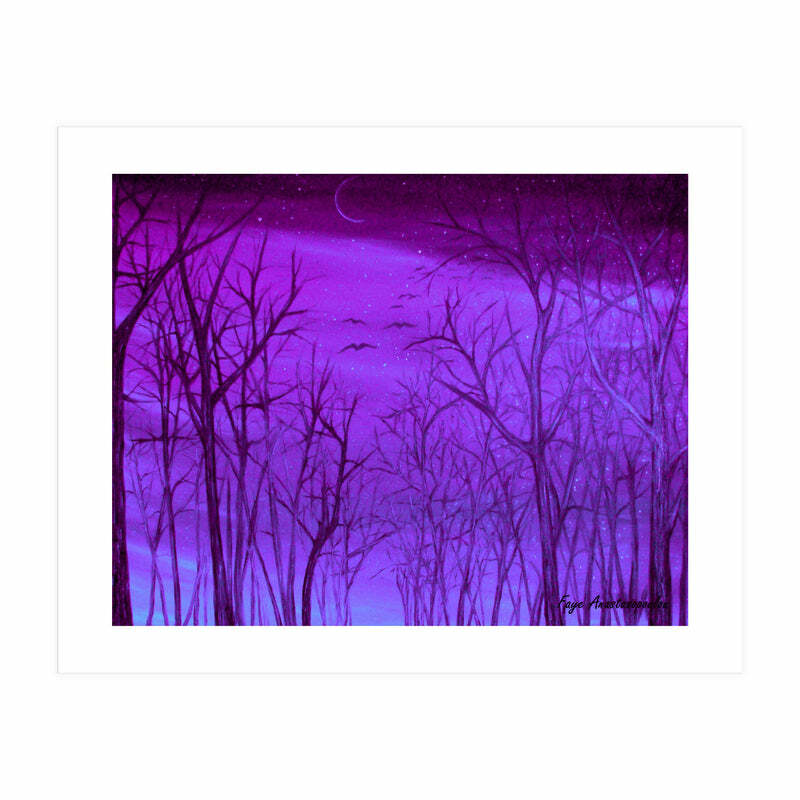 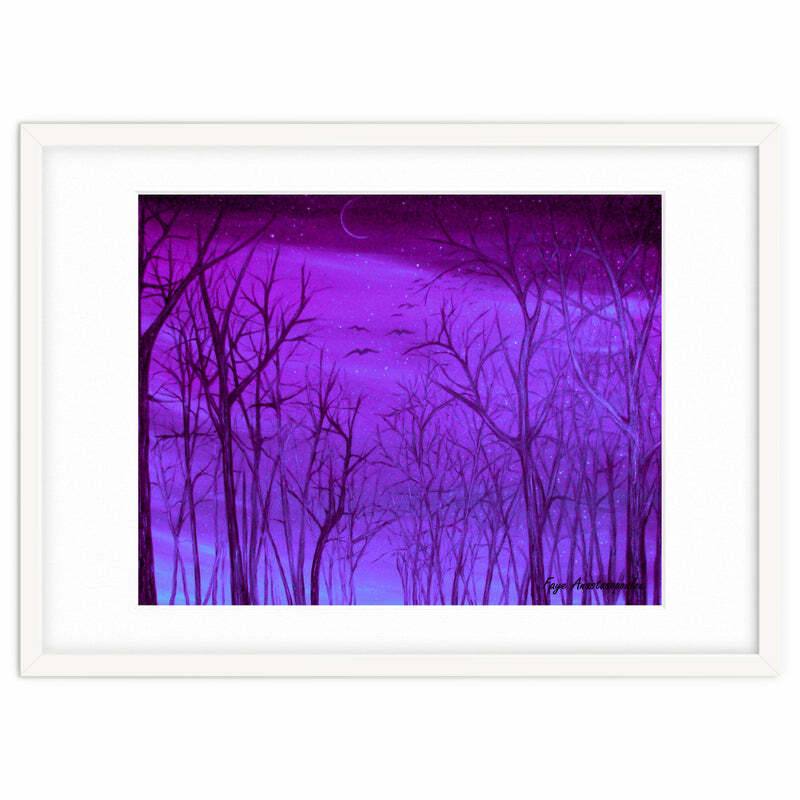 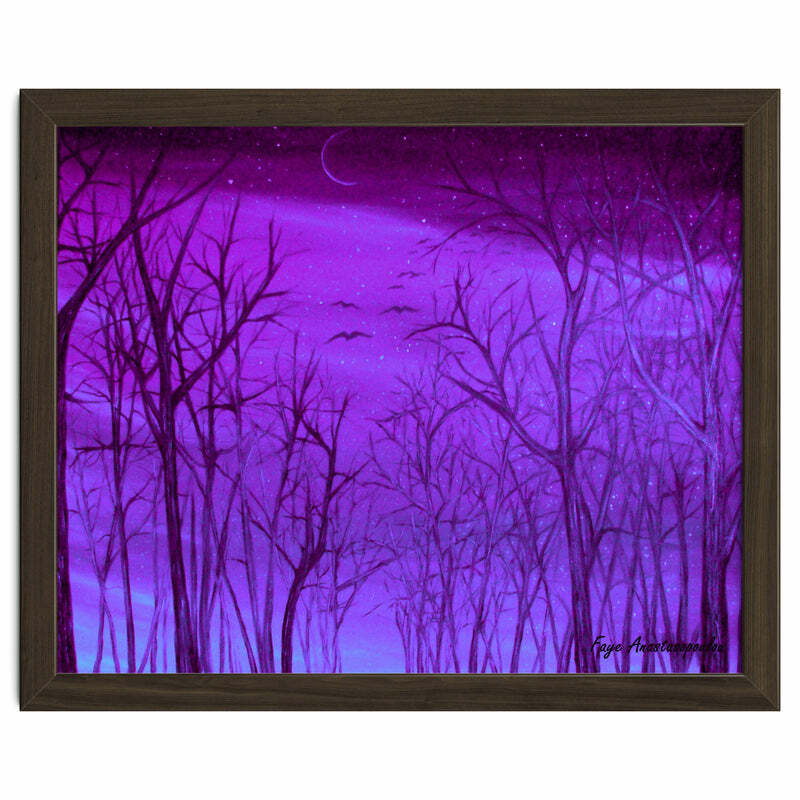 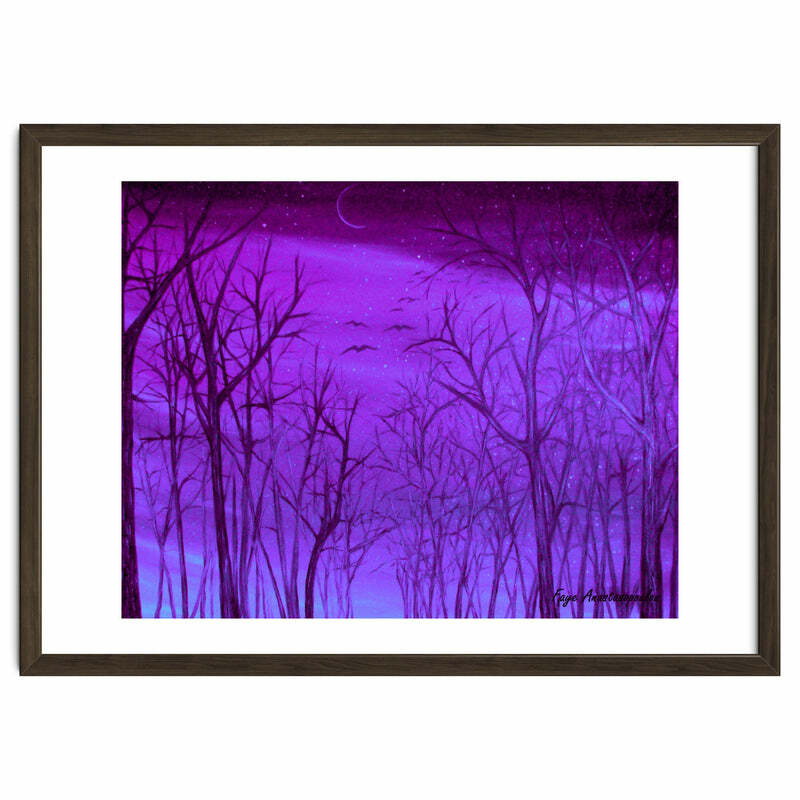 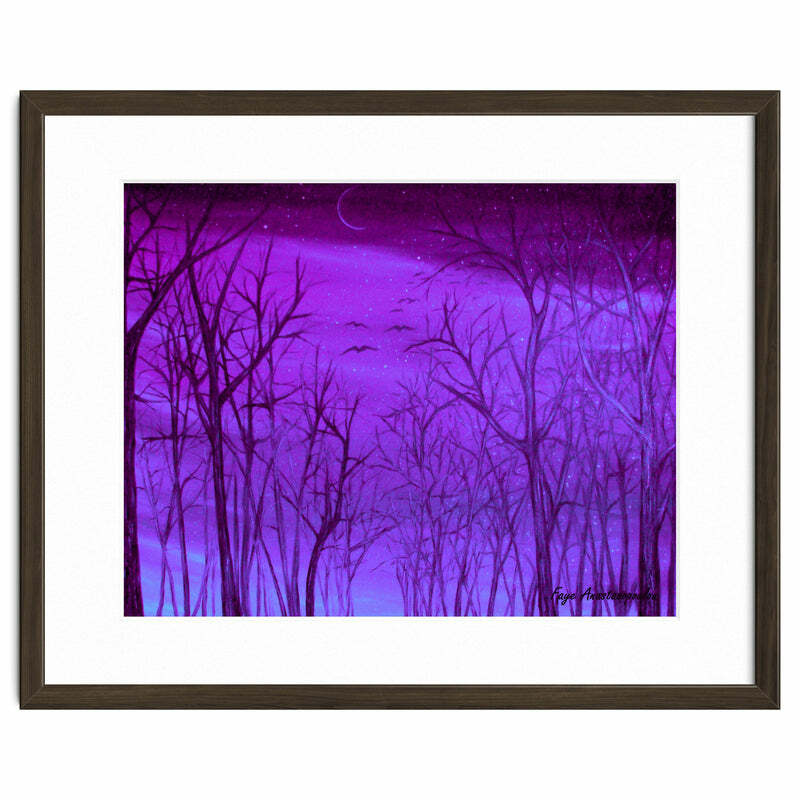 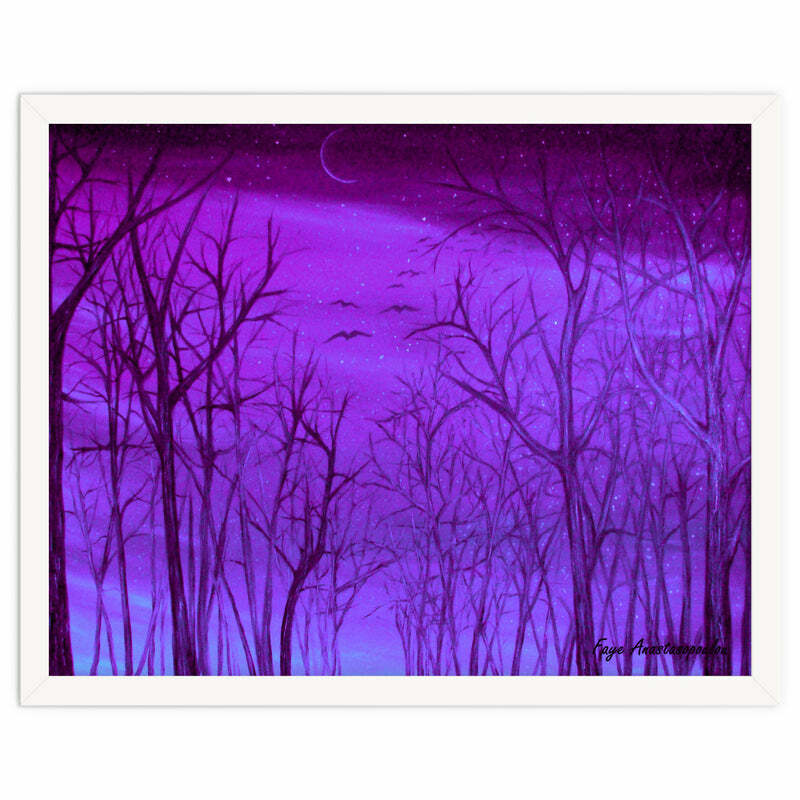 A purple flow of colors, that covers the background, gives a feeling of chilling silence. 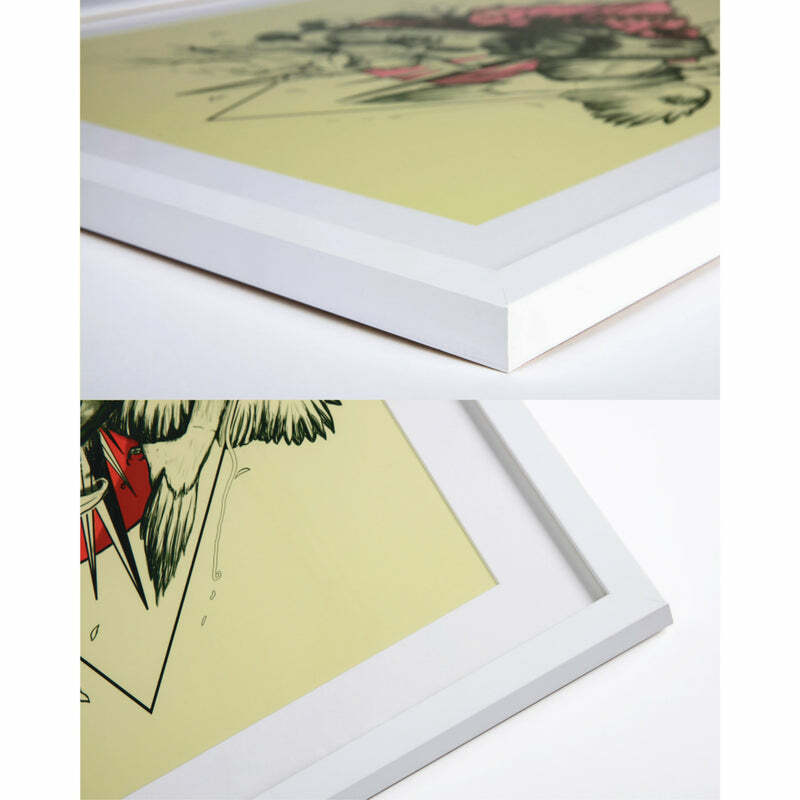 In this poetic landscape only the sounds of the forest are to be sensed.